The most recent FDI data from the World Bank shows that China and the larger ASEAN nations have performed well the past 18 months in terms of generating increased foreign direct investment. The data, which covers 2013 figures in total, show a 17.7 percent overall increase in FDI for China, yet an even more impressive 20.4 percent for the Philippines and 19 percent for Malaysia. The Philippines data may seem overly strong given the much publicized spat with China over disputed islands, yet this has clearly, as was stressed at the time, not manifested in a slowdown of investment. Both the Philippines and Malaysia remain strong destinations for Chinese as well as other foreign investment. SINGAPORE – Small and medium sized information technology (IT) companies in South Korea and Singapore can look forward to more opportunities for cooperation and growth as the two countries inked a Memorandum of Understanding (MoU) on Information and Communications Technology (ICT) collaboration last Friday. In conjunction with the MoU, South Korea’s Ministry of Science, ICT and Future Planning launched the Korea IT Cooperation Center in Singapore to support the expansion of Korean tech start-ups and SMEs into the ASEAN market. SINGAPORE – According to the Inland Revenue Authority of Singapore (IRAS), a Singapore tax resident can enjoy tax exemption on specified foreign income that is remitted into Singapore. This tax ruling has been in effect since June 1st, 2003. Prior to June 1st, 2003, resident taxpayers would be taxed on all foreign-sourced income received in Singapore. They could also be taxed on the same foreign income in the countries of origin. To enhance Singapore’s attractiveness as a business hub and to boost its services export, it was decided that tax exemption may be granted on certain foreign-sourced income. Singapore is the best shipping hub in the world, with Hong Kong and Shanghai also in the top 10, according to a new report on international shipping centers released last week. The 2014 Xinhua-Baltic Exchange International Shipping Center Development Index Report, which is the first report of its kind, was a joint project by the Baltic Exchange and the China Finance Corporation.Asian ports took six places in the top 10, which comprised of Singapore, London, Hong Kong, Rotterdam, Hamburg, Dubai, Shanghai, Tokyo, New York and Busan. The index assessed 46 shipping hubs around the world against three fixed criteria, namely maritime services such as insurance, engineering and brokerage (50 percent), overall environment (30 percent) and port facilities (20 percent). 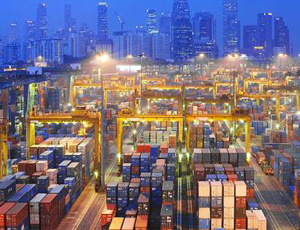 SINGAPORE – Singapore has announced that it will implement all operational provisions of the World Trade Organization’s (WTO) Agreement on Trade Facilitation (ATF) as soon as the agreement becomes active next year. The ATF endeavors to simplify the bureaucratic regulations involved in cross-border trade by streamlining the customs and border procedures of WTO member states. With the creation of the ATF, the WTO has clarified and improved articles V, VIII, and X of the General Agreement on Tariffs and Trade (GATT). SINGAPORE – Singapore and Hong Kong have been named the best and third-best places in the world to do business by an Economist Intelligence Unit (EIU) survey. 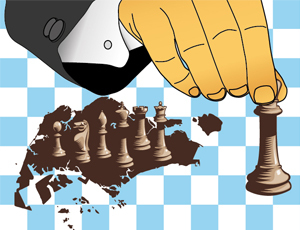 Singapore and Hong Kong retained their positions in first and third place from a previous EIU study, which covered the period from 2009 to 2013. The other countries which will now be ranked in the top 5 until 2018 are Switzerland (2nd), Canada (4th), and Australia (5th). SINGAPORE – The United States and Singapore have reached a landmark agreement on tax information sharing this week that will see Singapore sign off on the United States’ Foreign Account Tax Compliance Act (FATCA), according to a U.S. Treasury Department spokesman. For several years now, the United States has been preparing legislation under FATCA, a complex reporting and withholding regime, which will enable the U.S. government to better access Americans’ offshore accounts, investments and income for taxation purposes. The Gateway to ASEAN: Doing Business in Singapore 2014 (Second Edition), which is out now and available as a complimentary download in the Asia Briefing Bookstore, will provide readers with an overview of the fundamentals of investing and conducting business in Singapore. The 2014 edition of Dezan Shira & Associates‘ Singapore business guide explains the basics of company establishment, annual compliance, taxation, human resources, payroll, and social insurance in the city-state. Aside from providing additional legal distance between the parent company and its Asia-based investment holdings, Singaporean holding companies also enable foreign firms to take advantage of the city-state’s various tax treaties. Singapore’s double taxation agreements (DTAs) limit or eliminate the level of withholding taxes payable on dividends from overseas holdings, and the city-state’s low corporate income tax rate (17 percent) and lack of a capital gains tax make it an ideal jurisdiction for basing holding company operations. SINGAPORE – The Ministry of Manpower has released their calendar of holidays in Singapore for the 2015 calendar year.